Risk events such as drought, flood, earthquakes, crop failure, and temperature deviations have dominated human history and caused violent conflicts and other forms of human misery. Before modern financial markets emerged and developed to offer impersonal risk-mitigating/risk-sharing instruments, human societies developed non-market institutions to deal with risks and their consequences, including social institutions such as the family, kinship networks, religious organizations, native-place associations, and mutual-help women’s organizations, each coupled with a supportive set of cultural/behavorial norms. They also had to treat children and other relatives as personalized investment/insurance assets, or use children’s marriage to spread risks. When human beings were the main instruments for mitigating risks, individual rights and freedom were not allowable as freedom would have compromised their instrumental value. This is how Confucianism functioned to provide a better sense of security in traditional Chinese society. However, after impersonal financial markets developed to replace human beings as risk-mitigating tools, a different set of cultural/behavorial norms has emerged in which the individual is free. 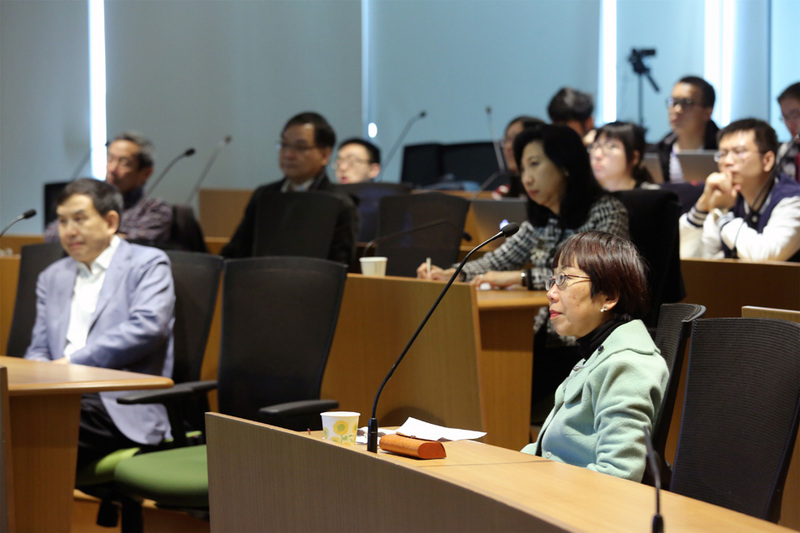 For example, the Confucian restrictions placed on the individual are no longer necessary in a society with developed finance. 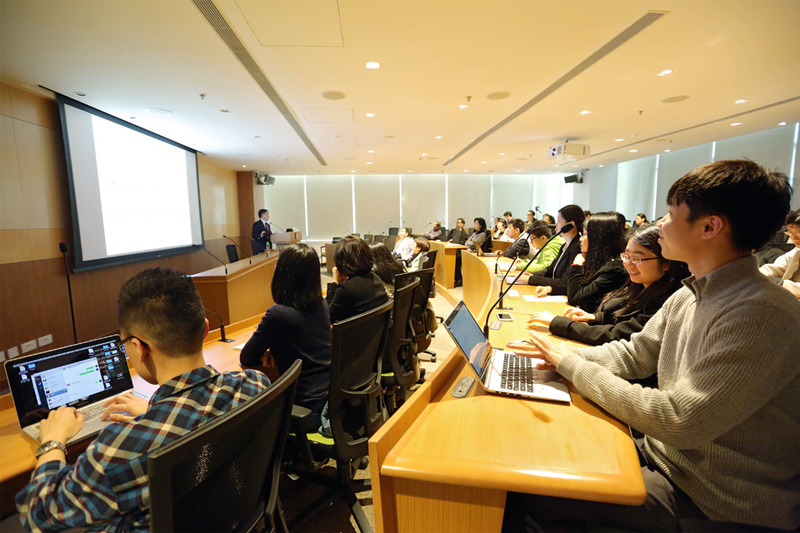 This lecture, given in Mandarin, will highlight how institutions have evolved in human history to better deal with risks and how financial markets have freed the individual. 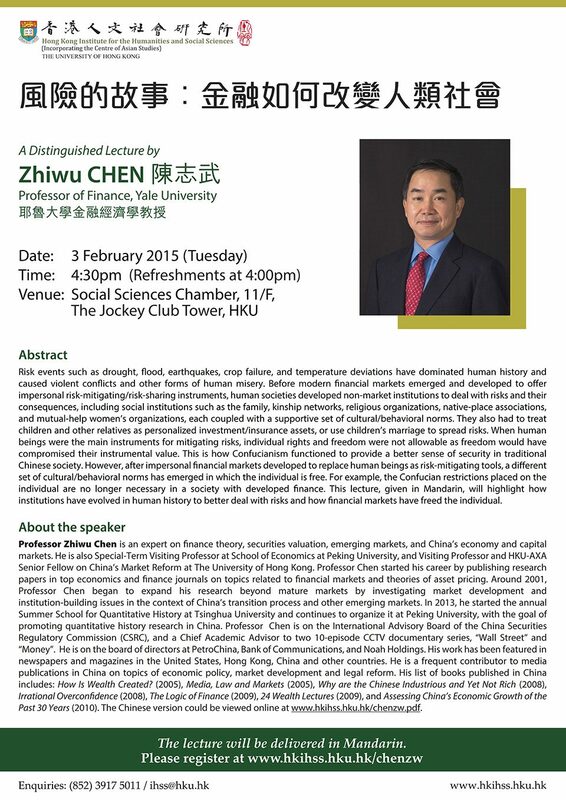 Professor Zhiwu Chen is an expert on finance theory, securities valuation, emerging markets, and China’s economy and capital markets. 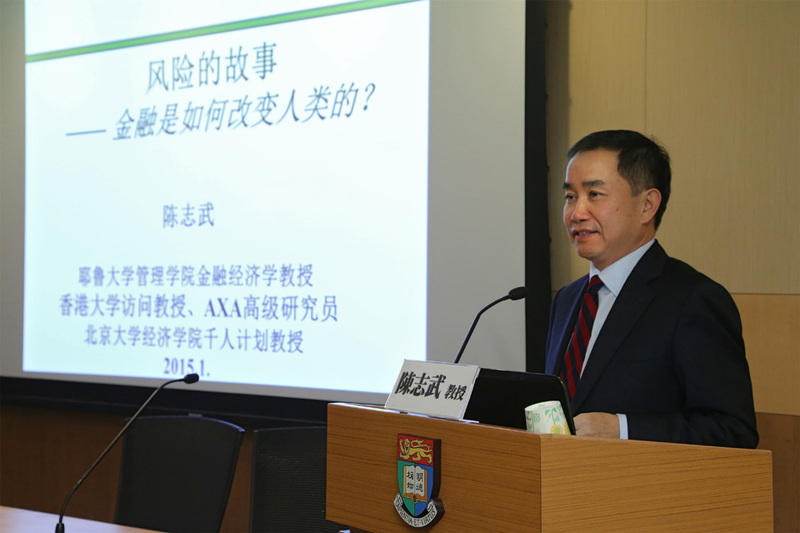 He is also Special-Term Visiting Professor at School of Economics at Peking University, and Visiting Professor and HKU-AXA Senior Fellow on China’s Market Reform at The University of Hong Kong. 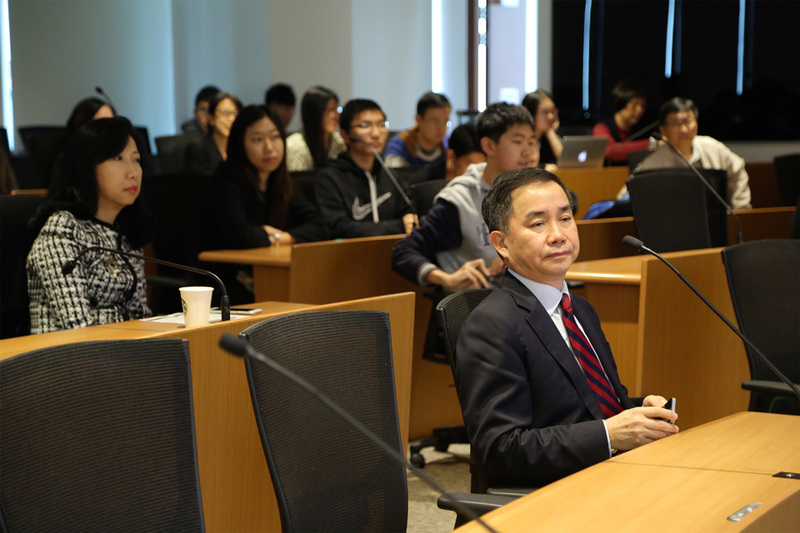 Professor Chen started his career by publishing research papers in top economics and finance journals on topics related to financial markets and theories of asset pricing. 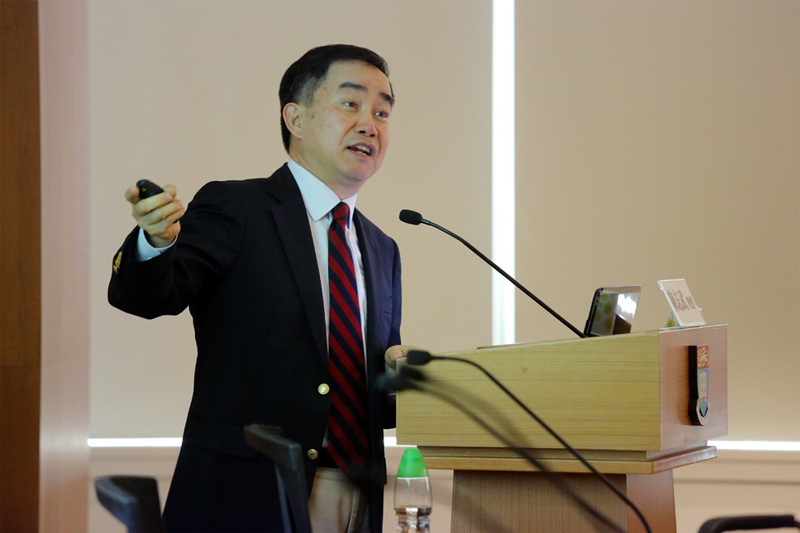 Around 2001, Professor Chen began to expand his research beyond mature markets by investigating market development and institution-building issues in the context of China’s transition process and other emerging markets. 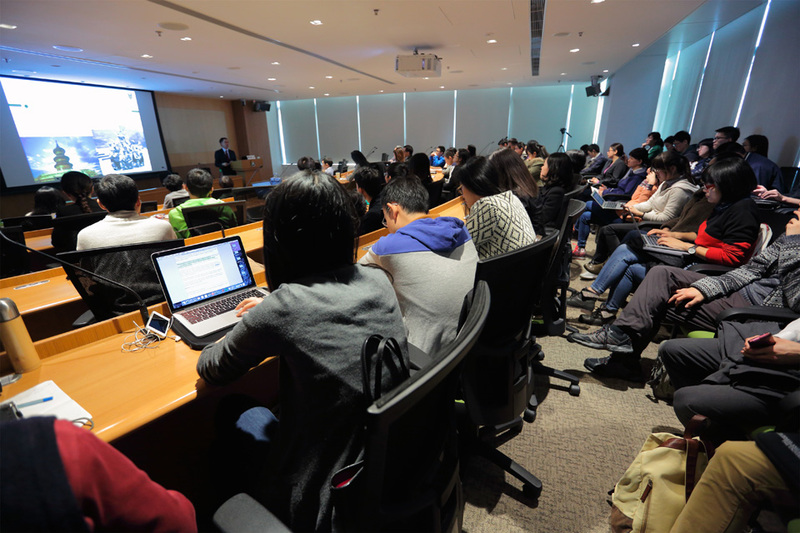 In 2013, he started the annual Summer School for Quantitative History at Tsinghua University and continues to organize it at Peking University, with the goal of promoting quantitative history research in China. Professor Chen is on the International Advisory Board of the China Securities Regulatory Commission (CSRC), and a Chief Academic Advisor to two 10-episode CCTV documentary series, “Wall Street” and“Money”. He is on the board of directors at PetroChina, Bank of Communications, and Noah Holdings. His work has been featured in newspapers and magazines in the United States, Hong Kong, China and other countries. He is a frequent contributor to media publications in China on topics of economic policy, market development and legal reform. 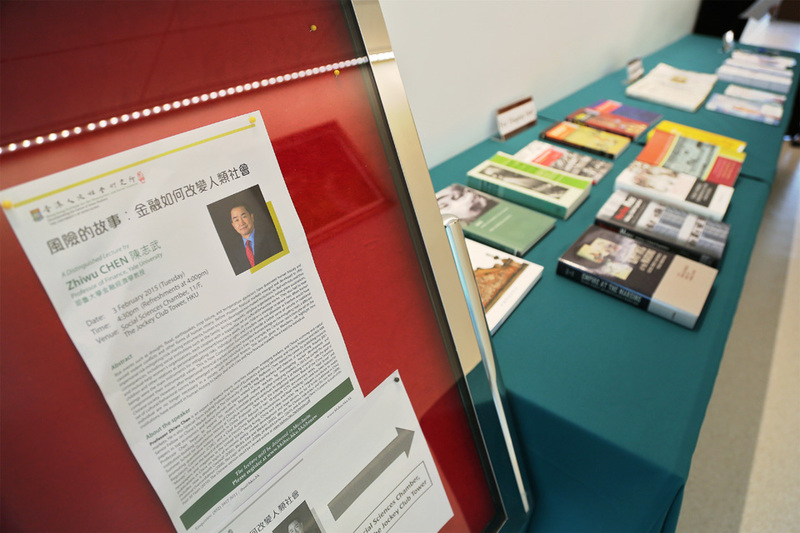 His list of books published in China includes: How Is Wealth Created? (2005), Media, Law and Markets (2005), Why are the Chinese Industrious and Yet Not Rich (2008), Irrational Overconfidence (2008), The Logic of Finance (2009), 24 Wealth Lectures (2009), and Assessing China’s Economic Growth of the Past 30 Years (2010).